IaaS is the preferred model, and AWS is the preferred service provider, 451 Research's report says. IT environments require either moderate, or significant transformation, if they are to meet business requirements over the course of the next five years, a new report says. The report by 451 research, entitled Voice of the Enterprise: Cloud Transformation, says that 80 per cent of organisations agree IT departments need disrupting to stay relevant. That disruption may include moving workloads to the cloud, or spending more on cloud solutions. Almost a quarter (22 per cent) of businesses adopted the ‘cloud first’ approach, the report also says, adding that IaaS (infrastructure as a service) is the fastest-growing cloud model. That’s why choosing the right service provider is essential for a well-executed digital transformation. However, there are concerns about the service providers’ ability to align IT and business requirements. Respondents have said that understanding of the customers’ businesses can be improved. “As organizations implement IT transformation in earnest, they are increasingly relying on strategic partners for operational assistance. 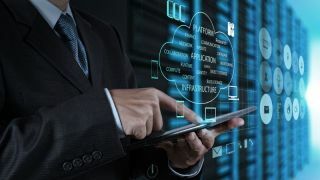 Those IaaS service providers who position infrastructure and technological innovation alongside meeting business requirements will be best positioned to capitalize on this market opportunity,” said Melanie Posey, Research Vice President and lead analyst for 451’s Voice of the Enterprise: Cloud Transformation service. The report also states that AWS is the dominant service in the market, mostly because it outpaces competitors on ‘multiple promise and fulfilment ratings attributes’. That includes breadth of services/features, brand/reputation, technical expertise and innovation. “Of respondents surveyed, 55.8 per cent are using AWS for IaaS”, the report concludes. The full report can be accessed from this link.